There is so much to do in Manchester and the greater St. Louis area that you’ll want to explore, whether you’re a local or just visiting. From museums to parks to great restaurants, this area is loaded with fun activities and locations for everyone to enjoy. 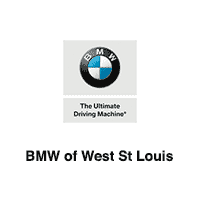 At BMW of West St Louis, our staff is full of people from all over the Ballwin area, and we want to share our favorite spots with you. We’ll happily guide you through Manchester and St. Louis. From Ladue to Chesterfield, there’s no shortage of things to do and places to explore!